UKZN staffer, Dr Faaiza Shaikh, is thrilled after graduating with a PhD in Psychology which explores the management of Attention Deficit and Hyperactivity Disorder (ADHD) symptoms experienced by students with the disorder at the University. She examined the use of Mindfulness Breathing Meditation as a coping mechanism for addressing ADHD symptoms. ‘I was keen on creating awareness on the impact of ADHD on learning, tools and coping mechanisms students employed (to deal with ADHD) as well as services rendered to students. On a broader level, I wanted to create a space for the voices and experiences of the marginalised to reduce inequalities and enhance human rights and social justice,’ said Shaikh. Her findings suggest that ADHD does impact on the functioning of students with the disorder, and that they develop coping mechanisms and are able to access services on campus. However, so said Shaikh, these students still experience many challenges; suggesting that a more integrated approach to management and accommodation is needed in this regard. Because Shaikh embarked on her PhD journey as a student with visual and audio processing challenges, taking longer than the average student to complete a thesis. Due to this, and the large volume of reading she needed to do, she submitted a 12-chapter PhD, challenging the norm of a 6 or 7-chapter thesis. ‘I feel like I’ve accomplished a great deal. I feel productive in that I was able to contribute in a very constructive way to highlight issues that are sometimes seen as unimportant and thus, marginalised,’ she said. She hopes that her research will create awareness on ADHD in a tertiary setting and will provide a framework for institutions to utilise when rendering services to students living with ADHD. Shaikh thanked her family, friends and supervisor Professor Steve Collings for their support and encouragement. Offering advice to other postgraduate students, Shaikh said, ‘Your research will contribute to existing research and it can influence change in our society. Conduct research on marginalised issues like disability. I would like to reach out to students with disabilities to conduct research in the field of disability. 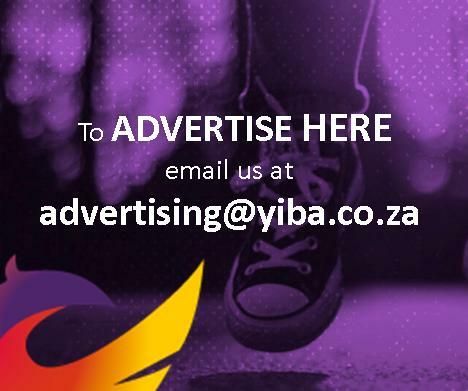 Be your own agency for change. Be your own activist. You understand these issues at a deeper level as you experience them every day,’ she said. 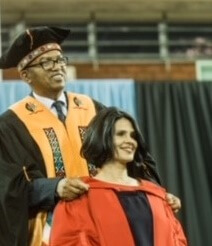 Caption: UKZN staffer Dr Faaiza Shaikh graduates with her PhD in Psychology.